You want the best of the best when it’s time to hit the road… so why not get it? Climb into the driver’s seat of the best-selling Toyota Camry and see what it’s like to drive one of the top-rated rides on the road. This classic Toyota is reliable, performance-driven, sleek and stylish, and comes with everything you need to stay connected with ease. Since its recent redesign, the Toyota Camry has been turning more heads than ever. It’s an effortless blend of the newest technology, advanced performance features for a comfortable and responsive ride, and polished but sporty style both inside and out. It’s available in both gasoline-powered and hybrid models so you can tailor your performance, and you’ll find exciting features like Apple CarPlay, Toyota Safety Sense P, and available red leather interior up for grabs. 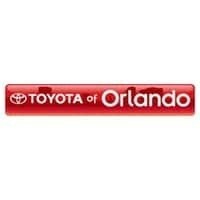 Tailor your drive time to YOU – call Toyota of Orlando at (407) 298-4500. We’re open seven days a week until 10pm and we offer a wide selection of this best-selling sedan, not to mention incredible Toyota Camry specials.